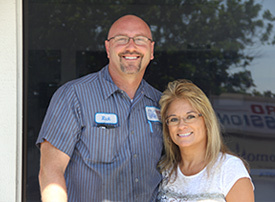 Metro Transmission, located in San Marcos, CA is a family-owned and operated business. Owned by Mike and Brenda Johnson, along with Brenda’s brother, Rick Grant and his wife, Michelle. 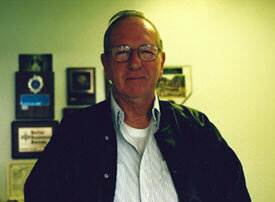 Rick proudly took over when his dad, Bob Grant made the decision to retire after 50 years in the automotive industry. Originally from Minnesota, the family came to California in 1983, leaving behind a successful transmission business for beautiful California weather. Metro was the first transmission shop to open in San Marcos and in 2009 became an AAA approved service center that strives to provide excellent service and 100% customer satisfaction. At Metro, we stand behind our work, as well as our word. The entire staff goes the extra mile to take care of our customers. Metro Transmission is a place where our customers send their friends! Metro Transmission employees have over 100 years combined experience and often attend schooling and acquire the latest diagnostic equipment to keep up-to-date with the latest technology to fix today’s complex vehicles. Metro is known as “the oldest transmission shop in San Marcos” and has earned a strong reputation not only locally but throughout the entire North San Diego County. We are proud to announce that in 2012, Metro became an AAA approved Auto Repair Center and began performing complete automotive service for our customers! While you are here, we hope that you’ll see for yourself why our customers send their friends!